Sorry folks for being down but all is fixed. There has not been a lot of news since the sale was announced. I expect there will be some legal action to try and get it changed but till then we have to wait. So here is your pre-Thanksgiving Titanic news. The BBC relays a news story from Irish News about an Australian man named Michael Booth. He grew up listening to Titanic stories about the ship and, quite naturally, became a Titanic enthusiast. Owing to his resemblance to Captain Smith, he was asked to play the role in a Titanic show. If you have not heard about it, a chap decided to pop the question to his girlfriend on the Titanic replica staircase at Titanic Pigeon Forge. Really, just watch it. Enough said. 3. A purported haunted mirror where Titanic captain Edward J Smith appears is up for auction in the UK for £10,000 (about $12,775). According to the story, a servant who worked for the captain took the mirror from his home after his death. And then the ghost of Captain Smith supposedly appeared in the mirror scaring the person who took it and then others as well. Not quite sure why Captain Smith would hang around in a mirror but that is the story. For 10,000 British pounds, it can be yours. The ghost is free. 23:40 (11:40 p.m.) Lookouts Fleet and Lee sight iceberg. Bell rung and call to bridge. Murdoch orders helm hard a-starboard and engines reversed. Starboard side scraped by iceberg for 300 feet puncturing hull in various places. Water fills forward compartments. 1200 (12:00 a.m.) Thomas Andrews tells Captain Smith ship is sinking estimating ship can stay afloat estimating no more than 2 hours. Lifeboats are lowered by hand, evacuation of passengers begins. Wireless is used to alert nearby ships. RMS Carpathia responds and begins moving towards Titanic. 02:20 (2:20 a.m.) Titanic sinks at 2:20 a.m.with over 1,500 lives lost. 0400 (4:00 a.m.) RMS Carpathia arrives and rescues approximately 710 from lifeboats. Captain Rostron of Carpathia said the area was an ice field with at least 20 large bergs measuring up to 200 feet in height and numerous smaller bergs. 18 April 1912 0930 (9:30 a.m.) RMS Carpathia docks at New York Pier 54. Prior to that it offloaded the only remaining piece of Titanic afloat, the lifeboats. Due to confusing communications, the initial reports were more promising about the the severity of the tragedy. The confusion was caused by mixed up bits of wireless communication resulting in erroneous reports of Titanic being towed to New York and less lives lost. By the time Carpathia arrived in New York, everyone knew that over 1,500 had died in the tragedy. 13 April-Titanic travels 519 miles. Ice sightings reported by other ships. Rappahannock reports heavy ice warnings. The letter will be auctioned of on 20 April by Henry Aldridge & Son. The letter is expected to fetch £10,000 ($15,000). The BBC News headline Titanic Captain’s Telescope Auctioned In Liverpool implies it was sold, but the slug just above the story is Titanic Captain’s Telescope Fails To Sell At Auction. Perhaps the editor thought no one would read the article otherwise. Saying it was auctioned would draw the curious to read the article. Fame’s a fickle friend, Harry. Celebrity is as celebrity does, remember that. About sums it up but of course Lockhart turned out a phony. He stole memories from those who did heroic deeds, claimed them as his own, and used memory charms to make them forget. Titanic still draws people to her long after she sank in 1912. There are the usual memorials in Belfast, Southampton, Halifax and other places. Each year the U.S. Coast Guard flies over the area Titanic sank to drop a wreath. Other less noticed things occur as well. Titanic themed meals are in vogue. People dress up in period outfits, attend a dinner that approximates meals served aboard ship, and learn some Titanic lore from enthusiasts. Titanic documentaries are often shown around this time along with showings of A Night To Remember (1958), a fondly remembered movie based on Walter Lord’s book. The more recent Titanic is not history but does recreate the ship wonderfully along with rich period look and feel.? Titanic is not unlike a Greek tragedy. Such tragedies always depict the outcome as avoidable. Not so far off in Titanic’s case. Her demise was avoidable and arguably predictable. Walter Lord summarizes it as complacency on all levels: government, the ship owners, and those commanded them. No one seemed overly concerned with the lack of lifeboats. Ship owners, for reasons of economy and aesthetics, did not want too many. They knew their presence comforted passengers. The Board of Trade considered passengers cargo and cargo equals space. So lifeboats were tagged to the amount of space one took, not on the total number of passengers and crew aboard ship. Fine in small vessels but inadequate when the numbers exceeded the total capacity of lifeboats available. Major shipwrecks were rare but not uncommon. Most ship owners believed the risk was minimal. They also believed passengers carried the risk as well. It was always a possibility, however remote, that something would go wrong resulting in injury or death. Strict liability laws made it difficult (but not impossible) to obtain judgments against them. Many became complacent about the danger of a major catastrophe. They believed in all the wondrous new technologies that made ships stronger and safer. A ship might be wounded, scraped, and battered but would remain afloat. Titanic was designed with that in mind. Captain Smith was experienced officer. He was widely respected amongst his peers and passengers who sailed on his ships. Yet like many others he was complacent. Until he commanded Olympic, he never had any major problems at sea. However the incident in New York with a tug and the Olympic’s collision with the Royal Navy cruiser Hawke were warnings about how differently these new large ships operated. And suction from the propellers caused the liner New York to break moorings in Southampton. Independently these events proved nothing but together form a pattern. All of them occurred while he was in command. So his lack of action on lifeboat organization is not the work of a lazy or incompetent ship master. It is of someone who believed they would never be needed except in very rare circumstances. Unlike the depiction in A Night To Remember, Smith was not decisive and barking out orders when the crisis hit. Instead he had to be asked by his officers about lowering lifeboats and other orders like firing distress rockets. Which is why things were confusing on that night. Passengers did not know where to go and had to wait for instructions on deck. Lightoller and Murdoch operated inconsistent policies in their respective lifeboat operations. Lightoller was strict about women and children first while Murdoch allowed men on lifeboats. 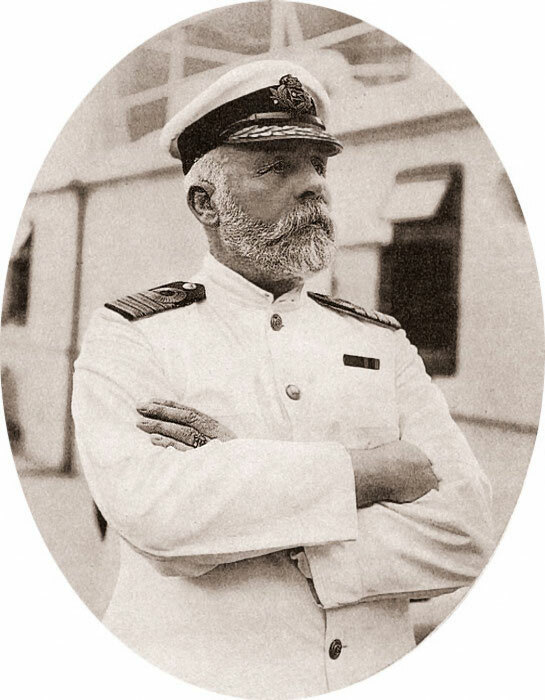 Smith was likely in shock about Titanic sinking and the terrible loss of life about to happen. 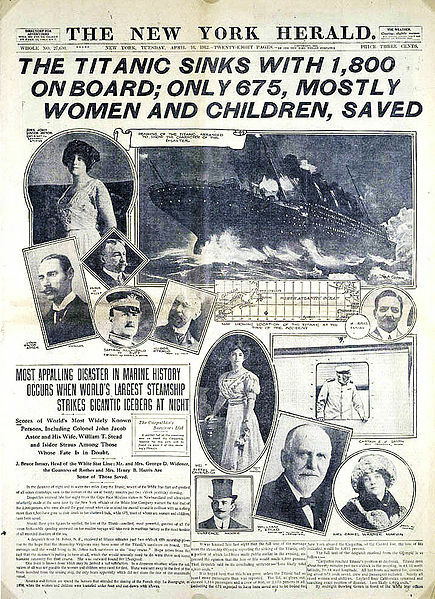 It was not long after Titanic’s sinking that every passenger liner put lifeboats for all and pronounced it in advertisements. No longer was it an issue of money but one of safety. The shocking numbers of those saved to those lost were the new mathematics. And ship owners complied and later maritime laws would make it mandatory along with boat drills for crew. Today most cruise passengers have to practice putting on life jackets and assemble at designated points not long after sailing. While no one crashes into icebergs these days, very rough seas can tumble ships as recent stories indicate. Complacency was certainly major element to the Titanic disaster, which is why one must never become too comfortable for the unexpected happens more often than we like to admit. On this date in 1912, Titanic departed Southampton on her maiden voyage. As she was leaving, suction from Titanic’s propellers caused a nearby ship, the New York, to loose its moorings. Quick action by a tug and extra speed from Titanic averted a collision. This incident confirmed a theory put forth by the British Navy in legal action against White Star about such suctions. Ironically the captain of the ship involved was Edward J. Smith. A few months later a more ominous event occurred. Olympic and the Royal Navy cruiser Hawke collided in the Spithead, a body of water near Isle of Wight. Hawke was running parallel to Titanic, several times her size, and both ships were at 15 knots. Suddenly Hawke veered to port and headed straight for Olympic’s starboard quarter. The cruiser rammed the liner’s hull and fortunately no one was killed. Hawke’s bow was badly crumpled. Olympic had a double gash in the stern and two compartments flooded. Olympic’s passengers were taken off by tender and the ship limped back to port in Southampton and then to Belfast for repairs. Everyone thought Hawke was at fault. After all, it had suddenly rammed Olympic. Interviews in the press praised Captain Smith and laid blame on the Royal Navy. The Royal Navy (RN) was not amused and sued for damages. Here is where it gets interesting. Normally the argument is over who had the right of way. Instead the RN argued that suction from Olympic’s propellers had drawn Hawke in. Using models to show how displaced water works, they argued Hawke was the victim and not the aggressor. The court ruled in their favor to the displeasure of many maritime experts. The use of models was dismissed along with the theories used. The ruling stood and White Star had to pay damages. The findings were dismissed by many since it relied on models. White Star must have agreed since it kept Smith on and made him captain of Titanic. The incident with New York, which matched what happened with Hawke, suddenly made the theory of hydrodynamic forces acceptable. The theory was that a ship moving forward displaces water on either side of the hull. This displaced water then surges back to the stern and into the vessels wake. Any small object that is afloat nearby will be sucked in. The pull increases with the size of the ship, its speed, and proximity. Olympic was a 45,000 ton ship and much too close to Hawke (200 feet) considering her speed against the 7.500 ton Hawke. Smith likely did not realize this. His experience was on smaller vessels for his entire maritime career. Ships like Olympic and Titanic were totally new to him and everyone else. After the incident with New York, Lord notes Captain Smith did something odd. After leaving Cherbourg, he ordered practice turns for the ship. He apparently realized he needed to find out more about Titanic. Sadly, of course, Smith perished when Titanic went down on 15 April.